Thats me on the left. Scrubs, surgeon's cap, and face-mask, all on. This was the first of seven surgeries I observed. It was a uterine prolapse. I never expected to step into the O.R. until Medical School, but there I was, Sophomore, pre-med student talking to two surgeons as they chop away at the patient's reproductive organs. As a volunteer, my job in the surgery department was to coordinate patient movement in and out of the O.R., as well as help communication between doctors and staff. How I ended up in the surgery room? 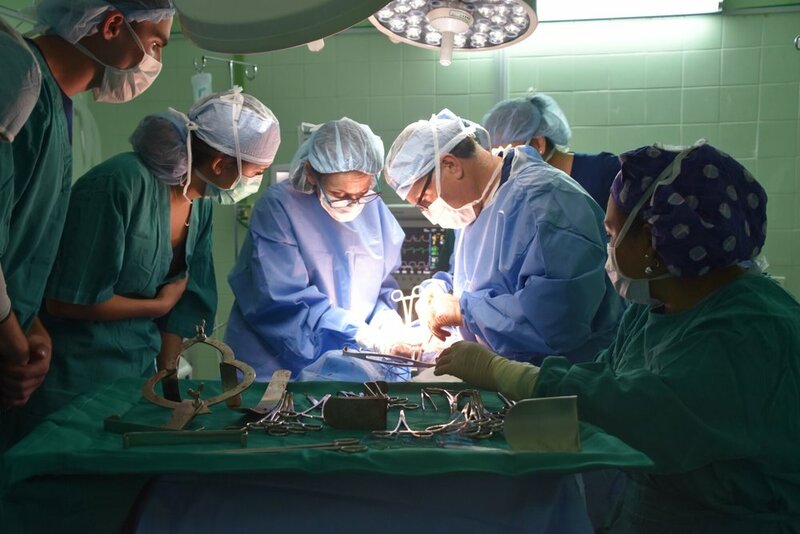 The surgeons, working from early morning until the last patient walks out satisfied, insisted on having students observe and learn while surgeries were being performed. Little did they know they were shaping my career before my eyes. Though that wasn't how the doctors influenced me most. The real passion I absorbed was their dedication to make as impactful a difference. My goal is to be a doctor, but I do not imagine myself working at a hospital in America. Rather, now, I see myself traveling the world helping where it is needed most. Helping like the heroes I was surrounded by.